I’ve never really been a fan of the Lebanese cuisine, but I’ll be the first to admit that my knowledge of Lebanese food hasn’t stretched much further than the cafes on Edgware Road and perhaps, really good manaeesh from Z&Z bakery. Don’t get me wrong, I could kill a shawarma at any of these establishments any day, but asides from that, most of these restaurants tend to serve mediocre yet expensive dishes, with atrocious service. 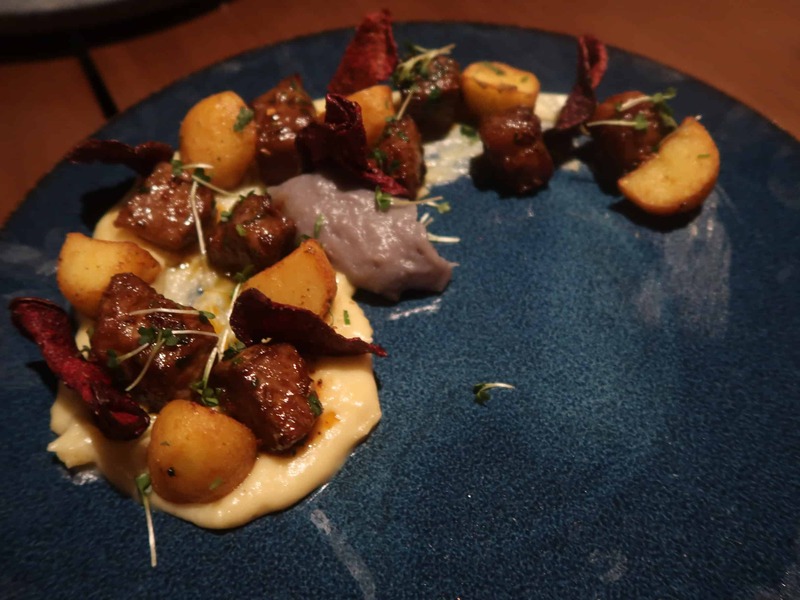 Thus they aren’t my first choice of cuisine when it comes to going out for dinner, that is until I heard about Abd El Wahab opening up in Belgravia. 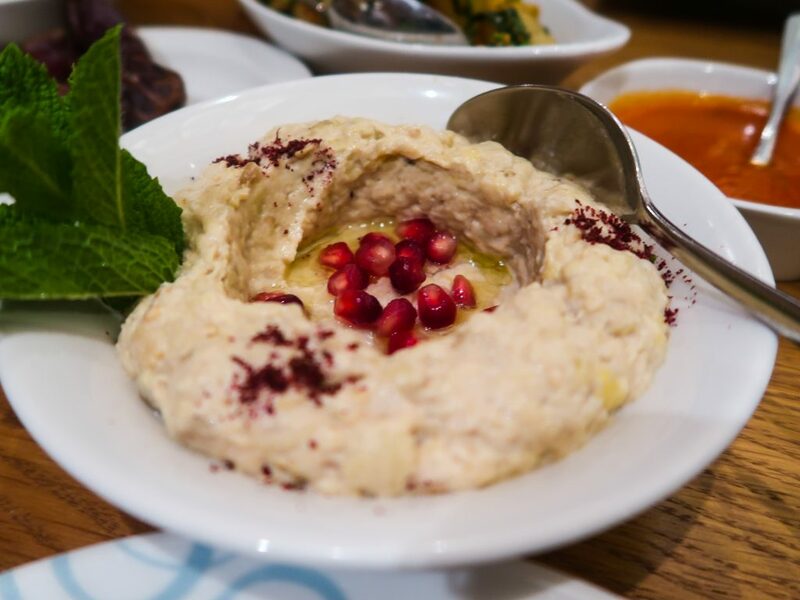 Abd El Wahab is a high-end Lebanese chain with several establishments in the Middle East and they have recently opened up their first international branch in London. Half curious and half expecting the same old fare, we headed over to Belgravia with a couple of friends, just in time for Iftar. 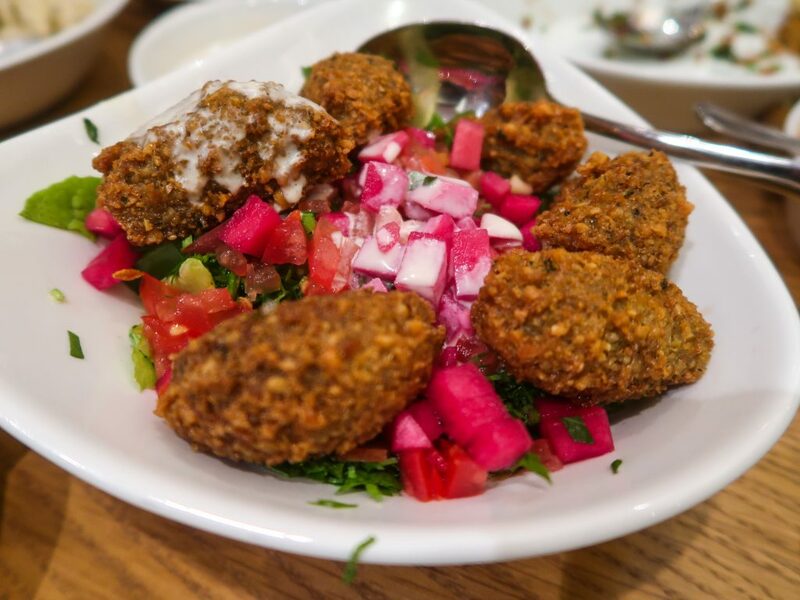 A refreshing salad made with tomatoes, greens, mint, and parsley, and finished off with crispy falafels and a tahini sauce on the side. Hummus has become a little basic to me these days, so we added a little pizzaz to our dinner and ordered the beiruti version made with green chillies, peppers and cumin. 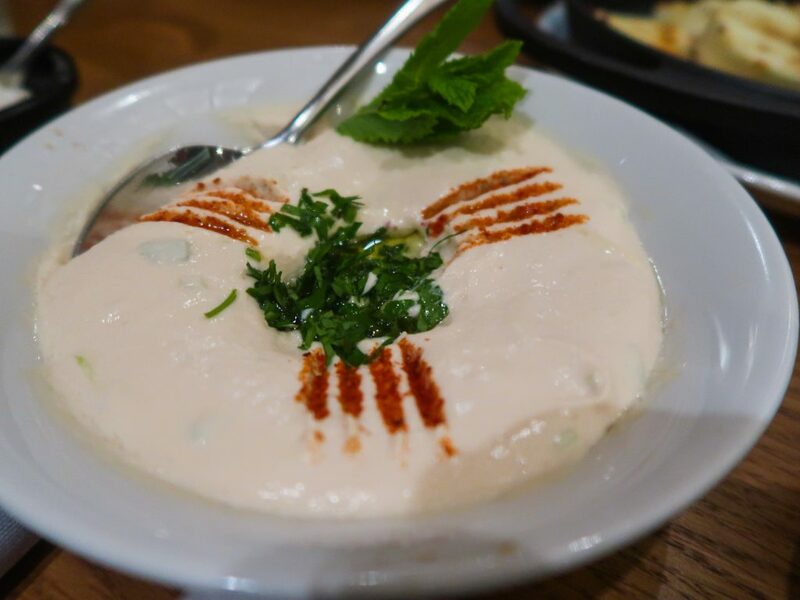 The hummus was smooth and ridiculously creamy, with the occasional bite from the chillies which made it so much more exciting than normal hummus. Smoked aubergine that had been blitzed with garlic, tahini, and a few spices, and topped off with a few pomegranate seeds. The pomegranate added a burst of sweet juice that helped to break up the creaminess from the aubergine, however I felt that the moutabbal was too heavy on the garlic. 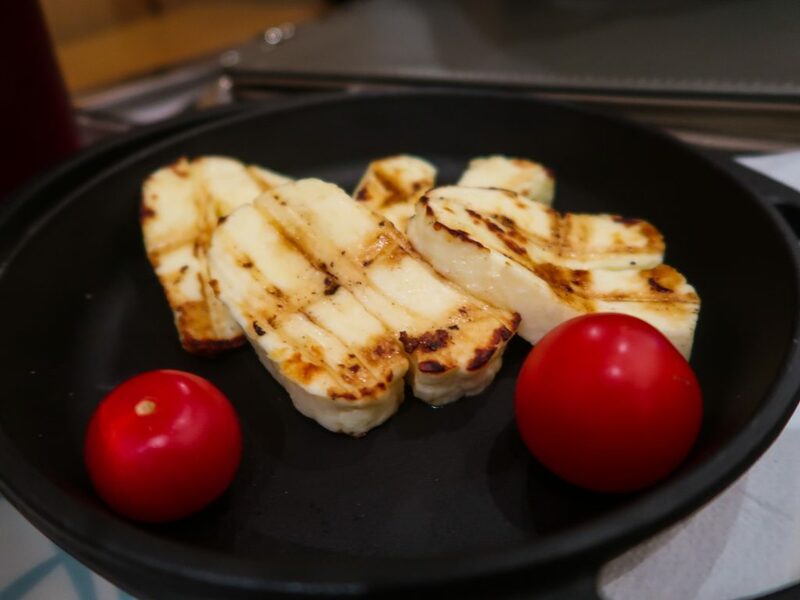 Squidgy, grilled cheese. Nothing out of the ordinary, except perhaps the price tag! Small sojoks that arrived in a oil-slicked pan. Unfortunately, these were not that enjoyable and bland with the familiar garlic and chilli spices notably missing. Unfortunately, these were forgotten about by the staff until the meal was almost over. 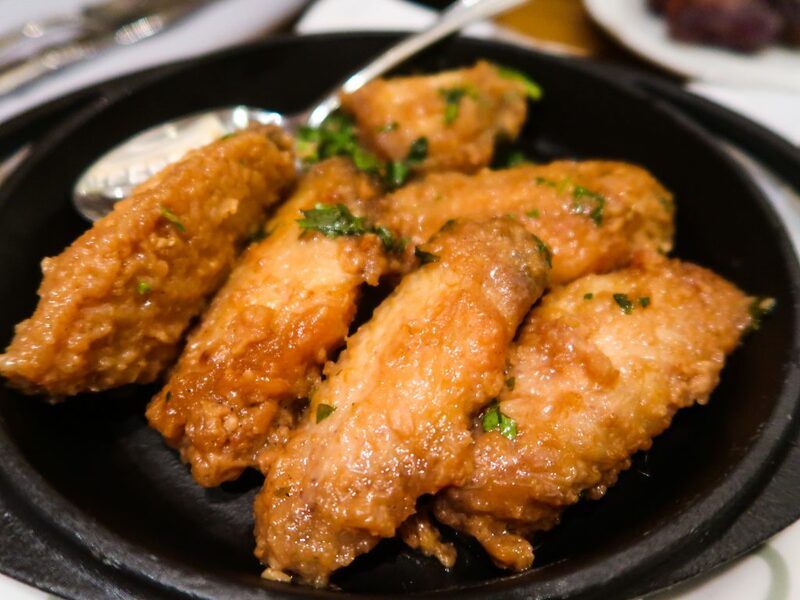 Fried chicken wings that had been brushed with a garlic, coriander and lemon juice marinade. I found these to be far too heavy on the garlic. 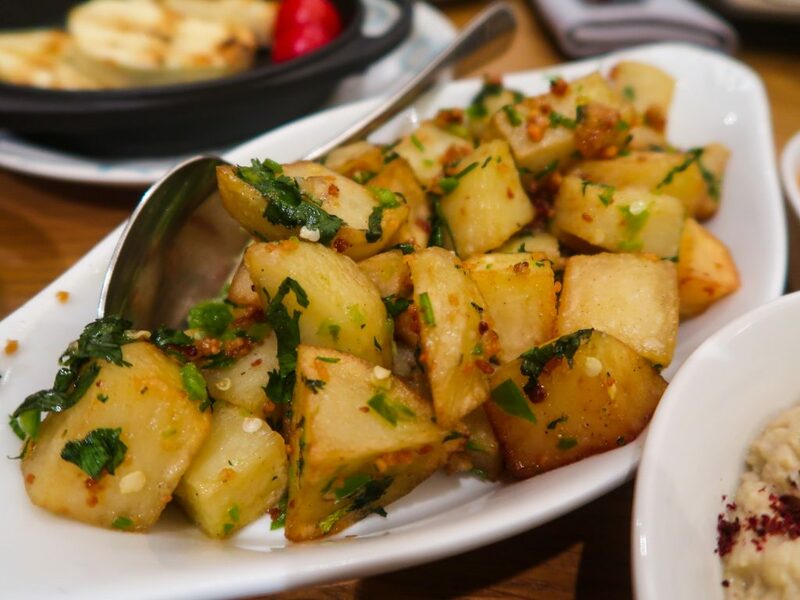 Crispy fried potato cubes mixed with fried garlic, coriander, and fresh green chillies. These were a good accompaniment to the mains. 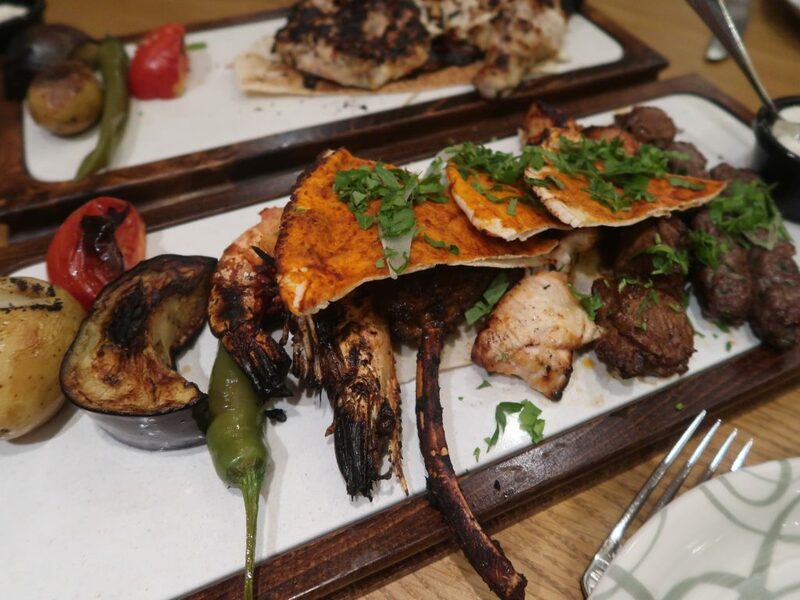 The Abd El Wahab mixed grill arrived with grilled shrimp, lamb chops, lamb shish, kebabs, and chicken taouk. Although this was enough to feed one or even two people, we were considerably stuffed from starters and just shared the mixed grill amongst the four of us. 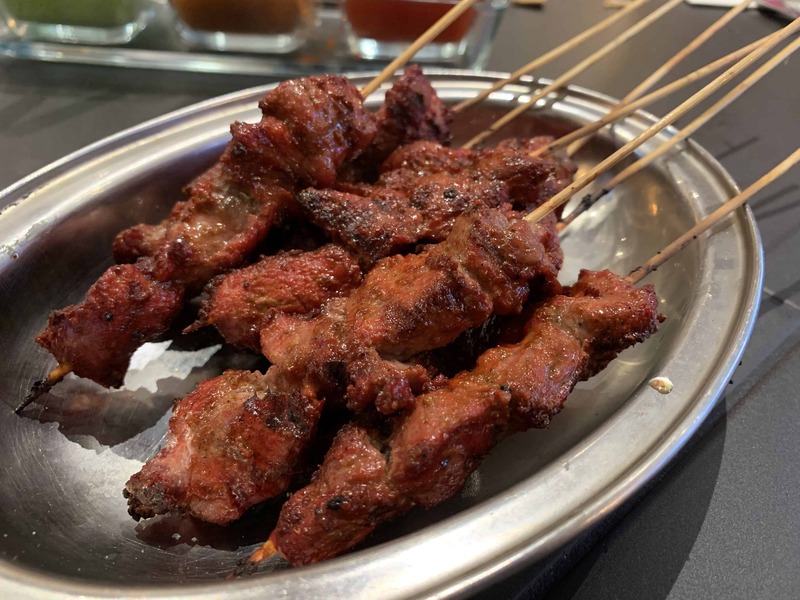 The lamb shish was exceptionally soft, whilst the chicken was mouth-melting and tender, and the kebabs were delicious and lightly spiced. 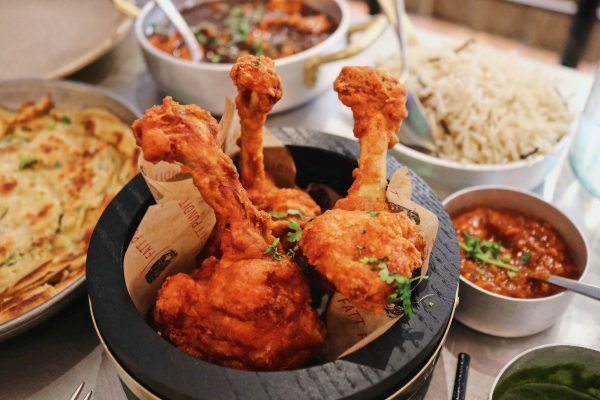 Although this was not heavily spiced, the baby chicken was extremely succulent with a irresistable amount of smokiness from being chargrilled. 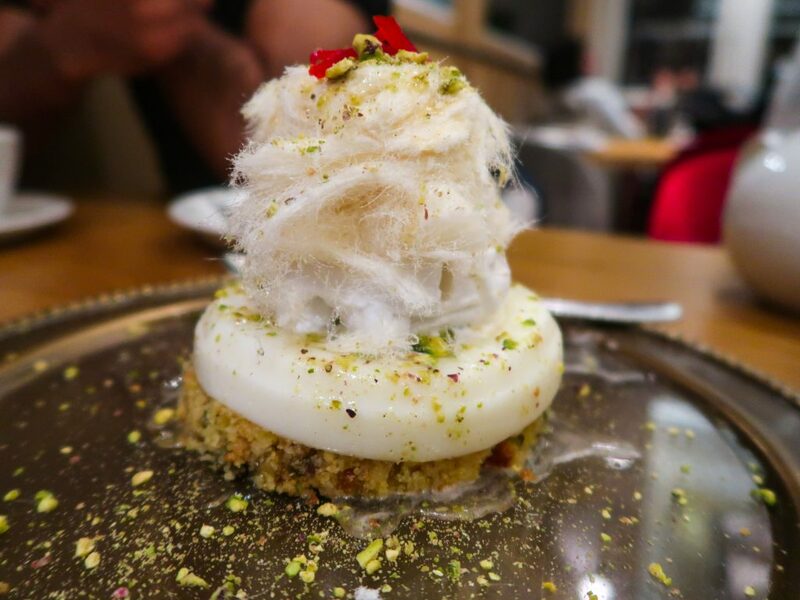 A looker of a dessert with layers of ghazal banat (the fluffy candy floss), creamy sahlab ice cream made using mastic, maamoul pastry, and a thick clotted cream known as ashta. 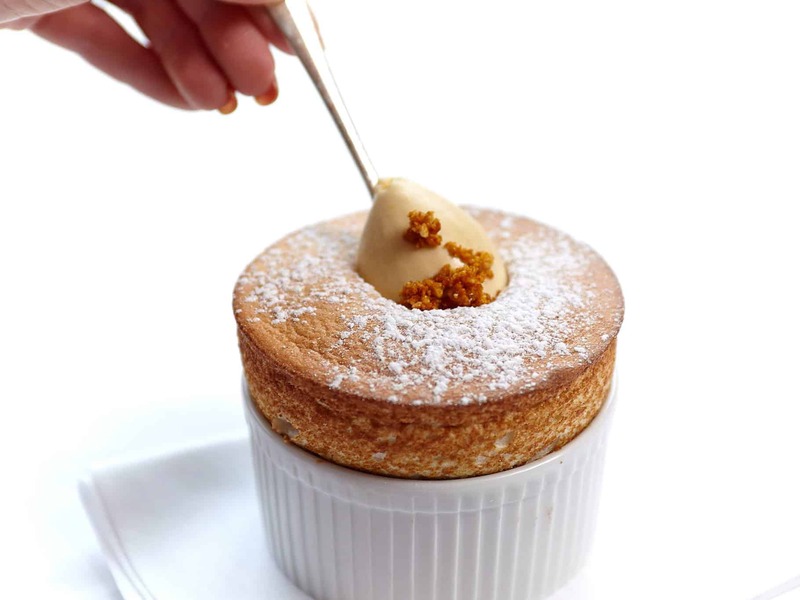 I can understand it not being everyone’s cups of tea as the rose and orange blossom water are quite overpowering which you don’t expect, and the baked maamoul dough was crumbly as opposed to being crispy and in tact. Maybe not something I would order again but worth trying. The total bill amounted to £156.66 for four people, including drinks and service, so approximately £39.17 each. Given the Belgravia location, I had expected this to be at least double the price, so it was a pleasant surprise upon receiving the bill! 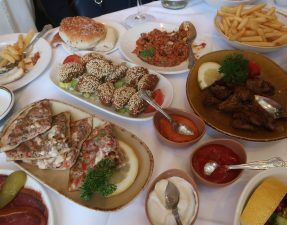 Despite the service being a little shaky at times (it was iftar time after all), the food was very good and definitely a step up from all the usual Lebanese establishments you’re accustomed to on Edgware Road, which believe it or not, charge the same price. Looking at you Maroush Gardens. 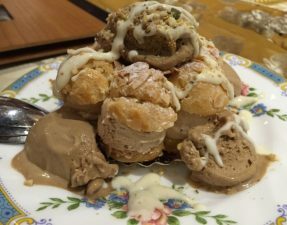 Know any other good Lebanese restaurants that are worth checking out? Let me know in the comments below! 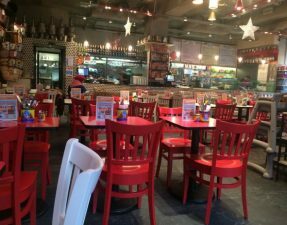 – Gluten-free friendly options available. 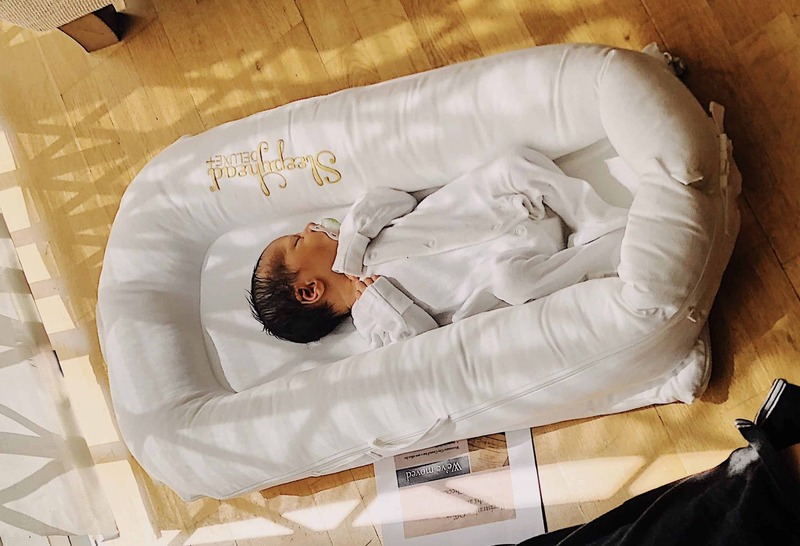 Ishbilia is one I recommend, haven’t tried abdl wahab to draw comparisons.